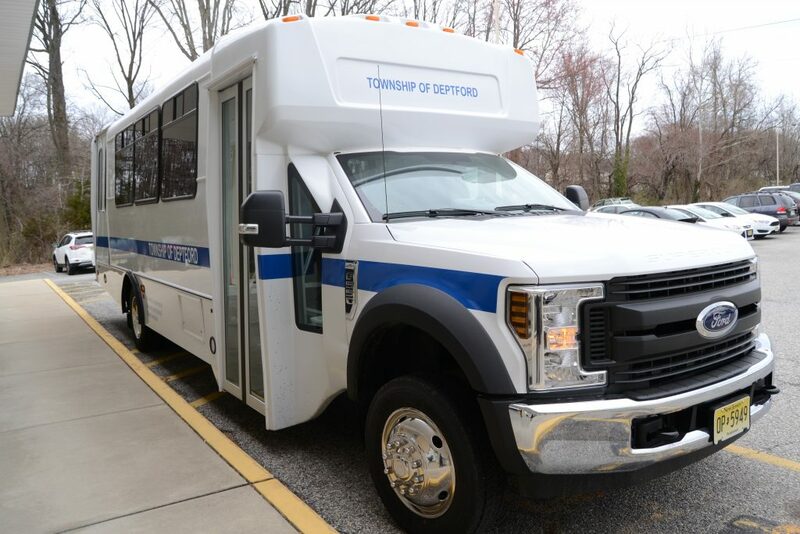 Deptford Township and Gloucester County shuttle cost of new passenger bus. 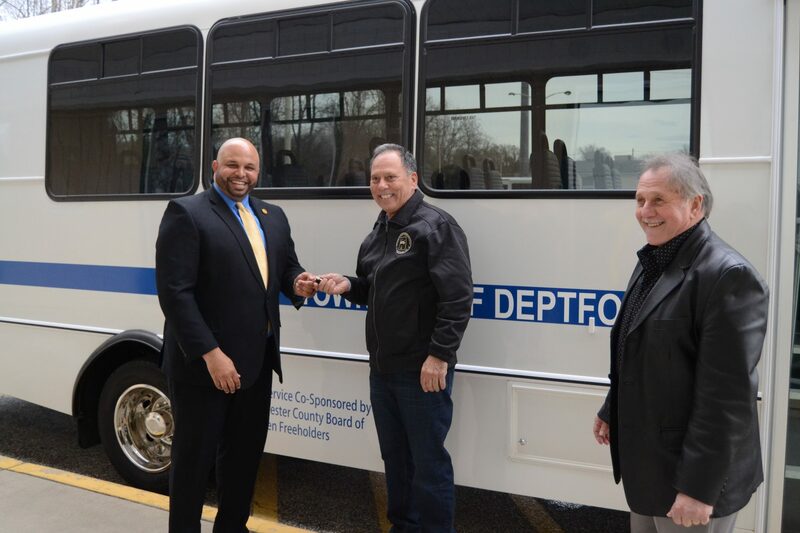 Gloucester County Freeholder Director Robert M. Damminger, Freeholder Deputy Director Frank J. DiMarco and Freeholder Jim Jefferson presented the keys to a new passenger bus to Deptford Township Mayor Paul Medany. The bus, a fifty percent dollar match with the municipality, is funded through the County’s Capital Transit Investment Plan. The county and municipality will split the cost of the buses and the county will fund up to $50,000 for each bus. The Gloucester County Board of Chosen Freeholders instituted the CTIP in 1992 to assist municipalities with the purchase of new buses. CTIP provides county funds to municipalities for the purpose of providing transportation to senior citizens, persons with disabilities as well as the general public. This is a program where the county and municipality share the cost of the bus for the good of its senior citizens. ELDON GRAHAM/The Sun. Freeholder Jim Jefferson, Liaison to Transportation Services, said that the 2019 Ford Champion Defender is a 22-person vehicle with two wheelchair slots. The total price of the vehicle was $81,382 with the county paying $40,443 and contributed $40,939 because they requested an additional back up camera on the bus.